Calculator watches are back, but microcontroller watches are always in style. 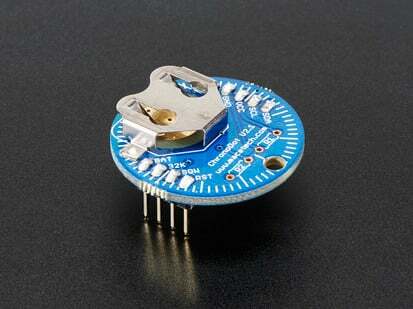 Make your own with this easy to solder real time watch kit from SpikenzieLabs! 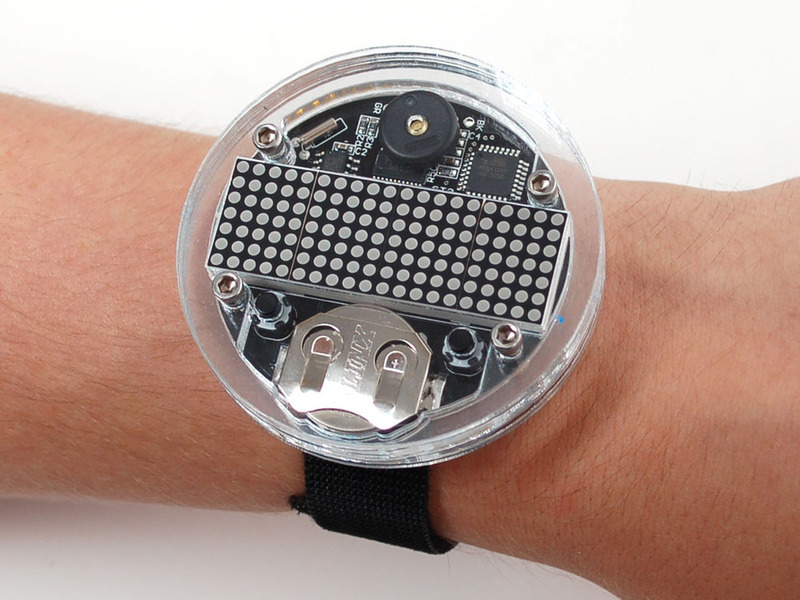 It comes with a unique laser cut acrylic casing which protects the watch and looks snazzy besides: the four individual acrylic parts cut to fit the internal PCB, battery and switch perfectly. Included is a velcro wrist band. After soldering the Solder:Time II, the watch is built by stacking the acrylic parts with the PCB and holding it together with the included screws. The Solder:Time II was designed to be a wrist watch. It doesn't have to be limited to living on your wrist, you could also use it as a badge or desk clock. This new version is even more hackable than ever. The on board microcontroller in this model is the very popular ATmega328P used in many of the current versions of Arduino™. 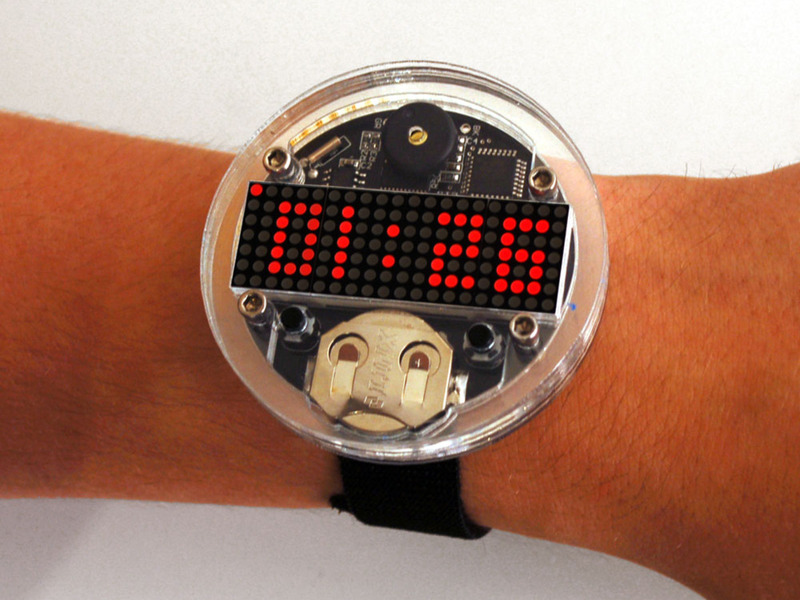 In fact, you can reprogram your watch using the same Arduino™ IDE software that you use for a regular Arduino. The Solder : Time II is different from the original Solder:Time in many ways. The display has been upgraded to a set of four 5x7 LED matrix modules. This gives you control of a 7x20 matrix for a total of 140 LEDs! 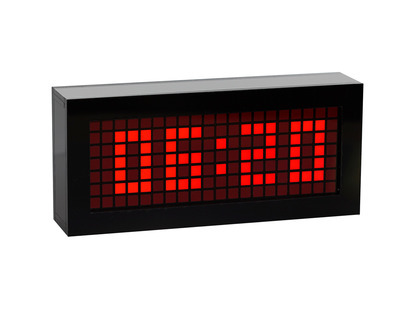 The new LED matrix allows for an amazing amount of information to be displayed; aside from the current time... 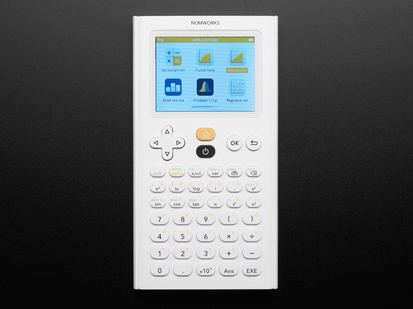 The date, month, words, scrolling messages, graphics, special characters ... the possibilities are endless. This is a DIY soldering kit, you'll need to assemble it yourself but luckily that is very easy, and very fast so this is a good kit for beginners! 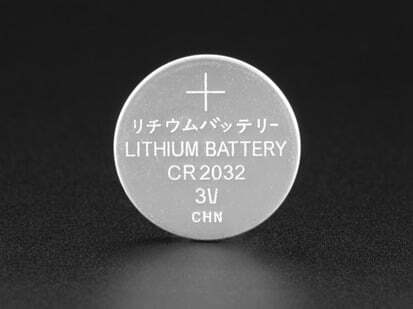 You'll need basic soldering tools such as an iron, solder, and diagonal cutters. 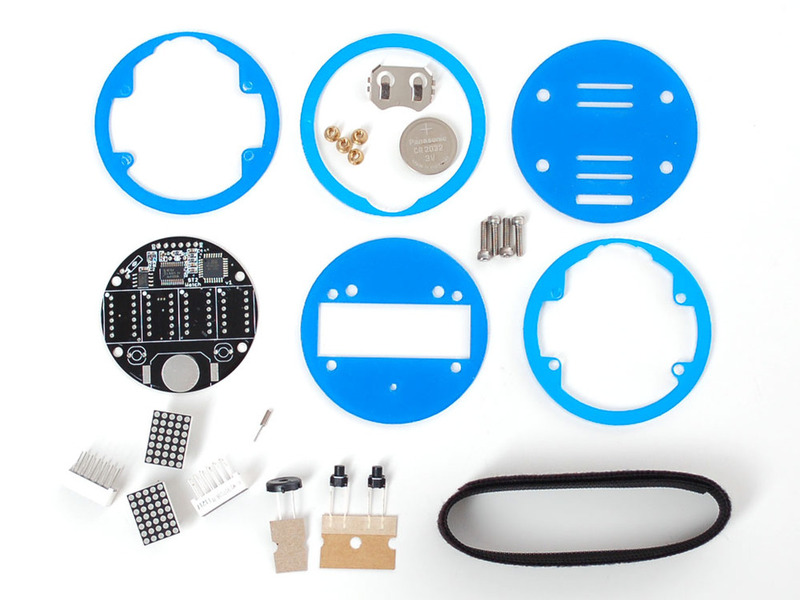 Kit includes: Solder:Time PCB with all of the electronics, Laser cut acrylic casing with four screws, Easy to use Velcro type wrist band (long enough for huge wrists, trim-able for smaller ones and a CR2032 Battery. All instructions are here! Battery life: About 7 days of good brightness and then another 3 to 7 getting dim. The designer added the "always on" jumper more for use as a desk clock with a set of AA batteries (there are also pins for an external battery). While the display is off the watch only draws 0.001ma.